National University Honours 4th Year Routine exam 2018 published. 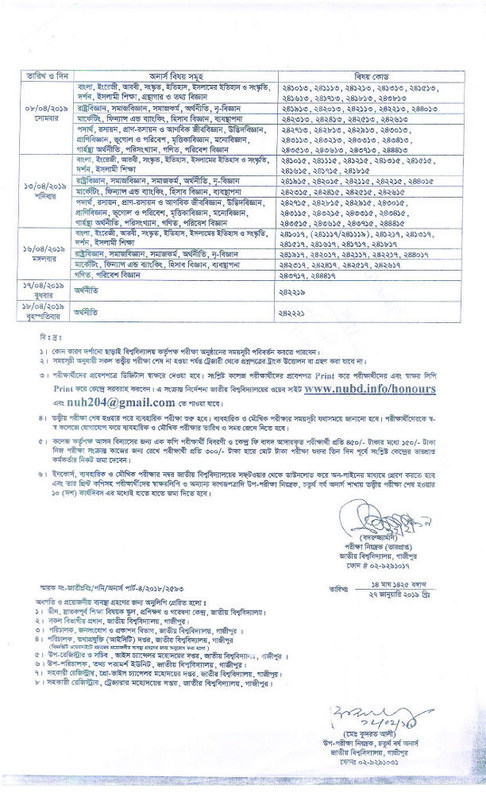 Download NU Honours 4th year Routine 2019 at www.nu.ac.bd . JPEG, PDF Format are available on my website below. This year Honours Final Year Exam will be start on 14 March 2019 and will be end on 14 April 2019. NU honours 4th year exam 2018 is knowing at the door. 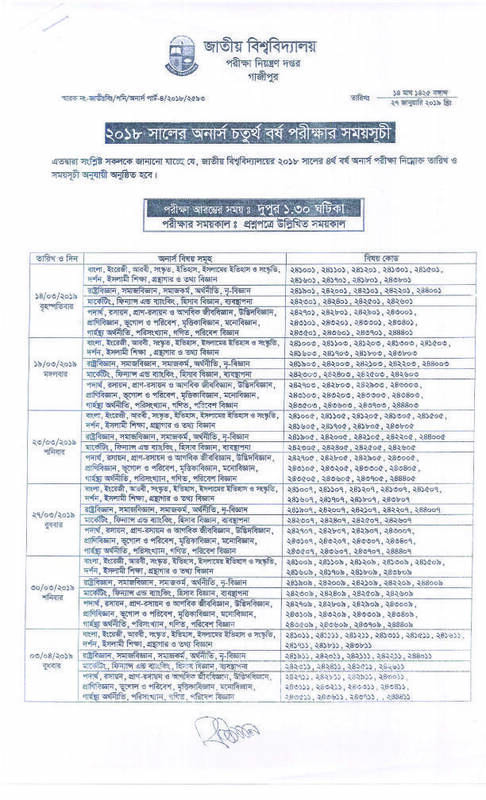 Today Bangladesh National University Authority Published Honours 4th year Final exam Routine at www.nu.ac.bd official website. You can also download Honours 4th year Routine as a JPEG format from ejobscircular.com . Exam Date, Honours Routine Changed Notification also updated by this post. Now check below honours Forth Year Exam schedule 2018. Hope you Download Your Honours 4th year Routine 2019 from our website. If you fail to download your Exam routine then comment below. We are always help you providing Daily Job news, Exam Result, Admit Card Download Notice etc. For more updates connect with us on Facebook. This entry was posted in Notice, nu.edu.bd/results and tagged Honours 4th year Routine 2019 -[ Session 2017-2018 ], National University Honours 4th Year Routine 2018 by ejobscircular. Bookmark the permalink.